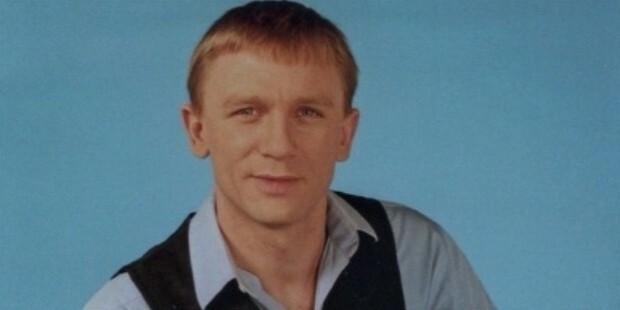 Daniel Craig is a well known theatre personality of London. He played a significant role in the Pulitzer-prize winning ‘Angels in America’, which heralded his career to greater heights. His scintillating performance in Layer Cake brought him to the notice of the Bond makers and he replaced Pierce Brosnan in the James Bond series. 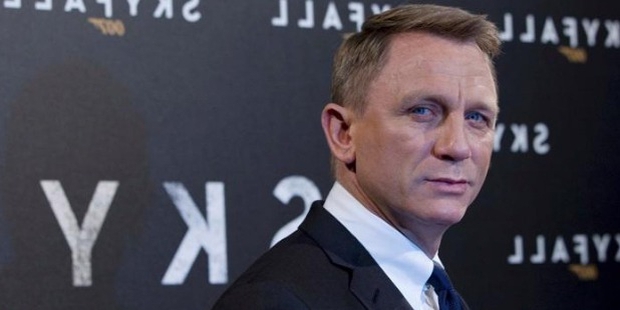 Daniel Craig was born on March 2, 1968 in Cheshire, England. His mother Carol Olivia was an art teacher and his father Timothy John Wrought on was a landlord. He inherited his love for acting from his mother. From the age of six, Craig started acting in school plays. As a struggling actor at the National Youth Theatre he did odd jobs at the restaurant. His first stage performance was ‘Troilus and Cressida’. He graduated from the Guildhall School of Music and Drama. His career began with the film’ The Power of One’. 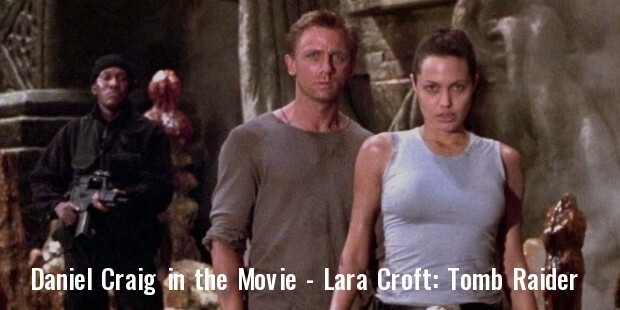 His supporting role in ‘Lara Croft; Tomb Raider’ and ‘Road to Perdition’ won him accolades. Craig’s career soared higher with roles that include ‘Sword of Honour (2001) and ‘Sylvia’ with Gwyneth Paltrow Craig was also seen in the lead role in Steven Spielberg’s ‘Munich’ in which he played the role of an Israeli agent chasing the case of series of massacre of Israeli athletes in the 1972 Olympics. 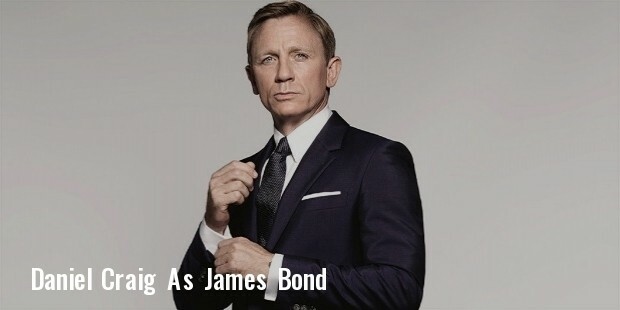 As ‘James Bond’ in the Bond films, Craig’s career has got a new lease of life. He has proved beyond doubt that he is no less Bond than his predecessors. He is one of the highest paid actors in the entertainment world. Craig was married briefly to Fiona Loudon and has a daughter Ella. He was linked to his heroines such as Sienna Miller and Kate Moss. 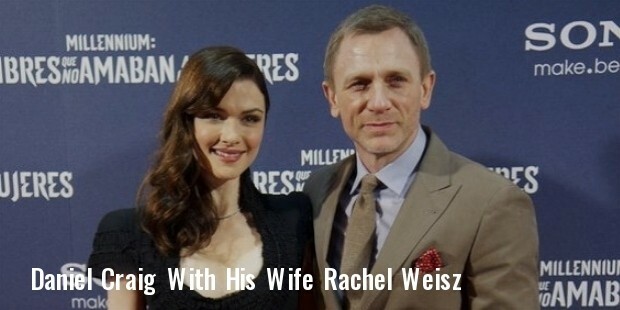 In 2011 he married Rachel Weisz. Craig Daniel won the Golden Schmoes Award for his breakthrough performance of the year in 2006. He was nominated for the Independent Spirit Awards for the best supporting male actor in the movie ‘Infamous’. Craig won the Britannia Award for British Artist of the Year in 2012. 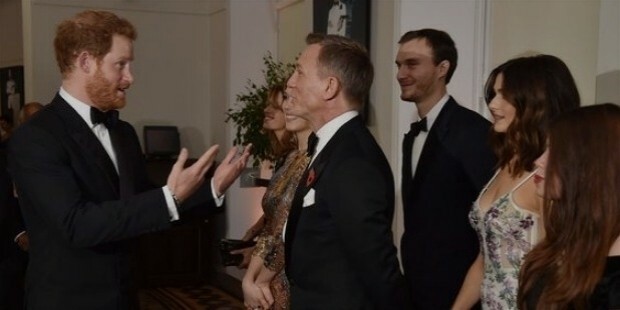 He was nominated as the ‘best actor’ for ‘Skyfall’ in 2013. He was also nominated for the Teens Choice Award for the same movie.